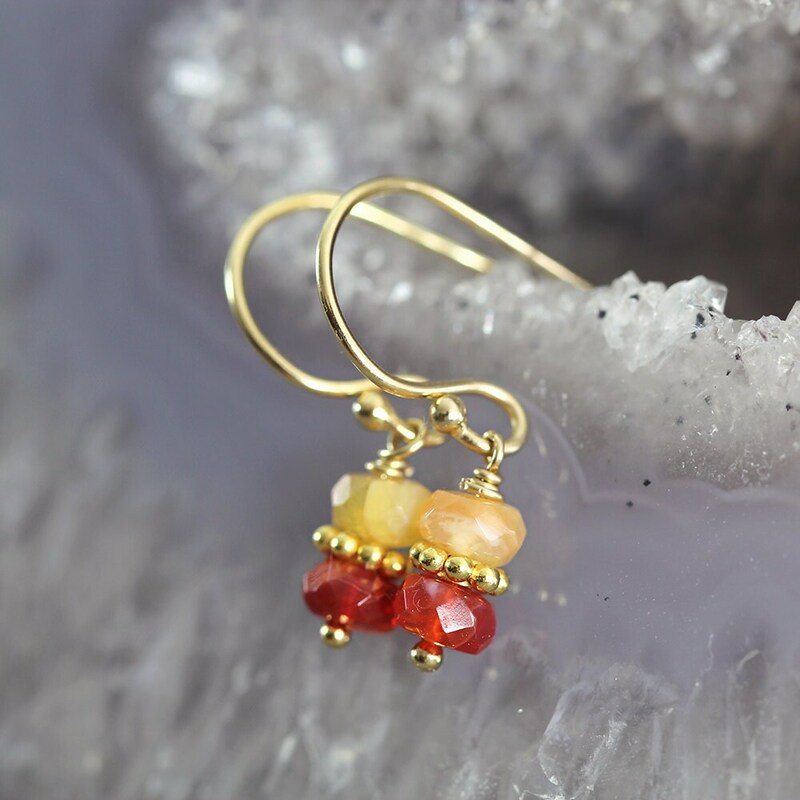 These gorgeous little fire opal earrings are perfect for a splash of colour, style and confidence. 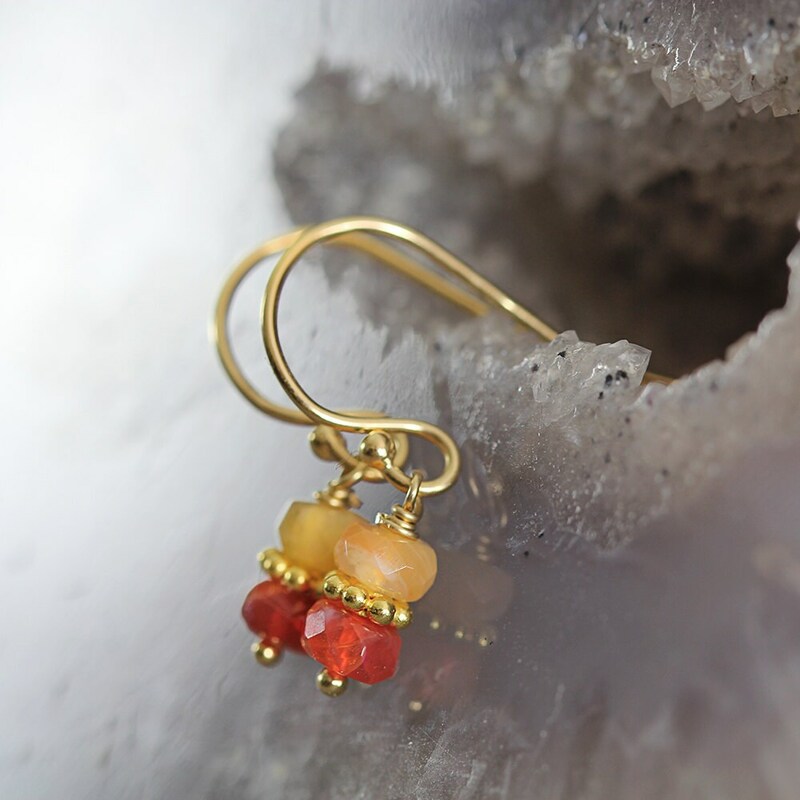 A paler orange-apricot opal sits above a deeper red-orange opal, with a gold bead nestled between. 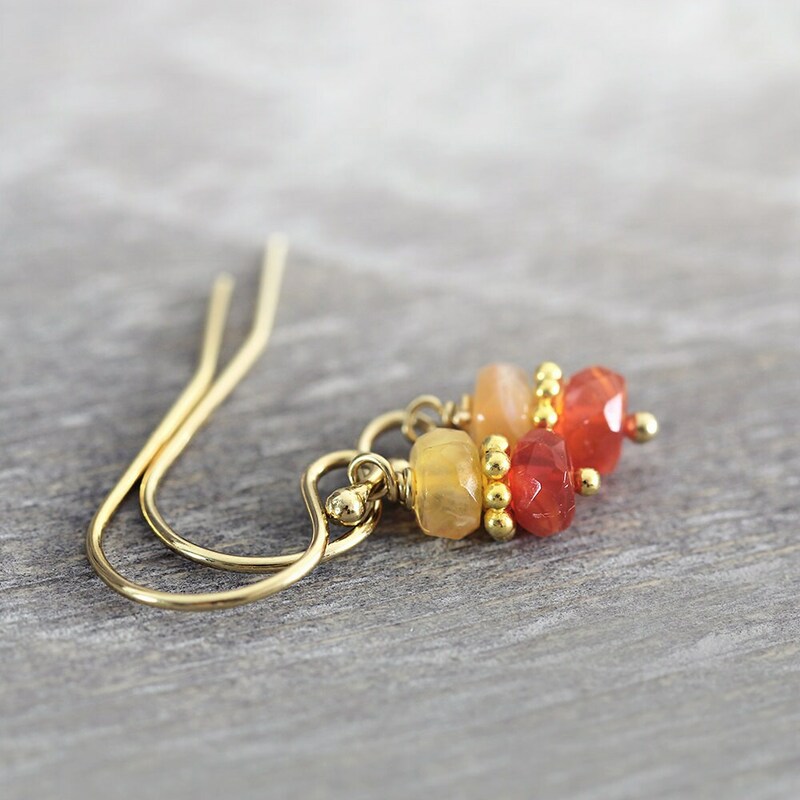 These are dainty little earrings measuring just 2cm from top to tail. Finished with matching 14k gold fill ear wires. 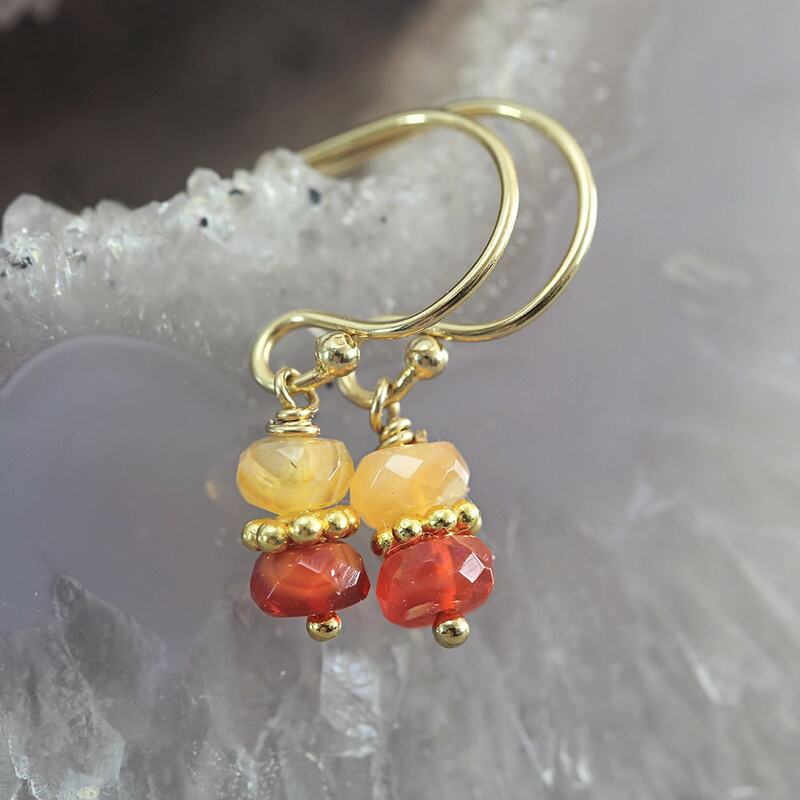 These October birthstone earrings are bright and cheerful and make a gorgeous gift for a loved one - for your mum, sister, girlfriend, wife or a friend - for any occasion such as a birthday, a graduation, an anniversary, Christmas or Valentines Day gift. The opal is the birthstone for October, and the Fire opal, with it's warm vibrant tones, brings courage, endurance, strength and energy. * Gemstone beads measure approx 4mm. * Total length from top of ear hook approx 2cm. 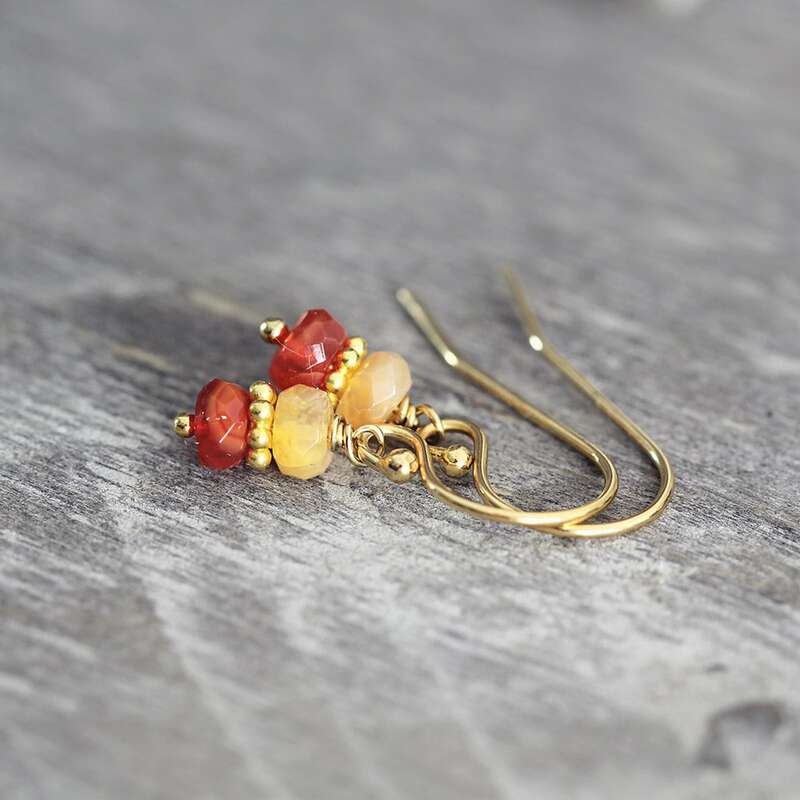 Small but elegant, pretty earrings. Items were attractively packaged. Thank you.